ohn Updike stood in the audience at Stockholm as Saul Bellow received his Nobel Prize in literature and, like Julius Caesar at the tomb of Alexander the Great, wept. Unlike Caesar, he wept not out of envy, but of the inescapable knowledge that not only was he unworthy of the honor Bellow was receiving, but that Bellow wasn't worthy either. In fact, virtually no one who had ever been awarded the Nobel Prize in literature was worthy, going back to the first non-entity who beat out Leo Tolstoy. Bellow and Updike, in the decades that followed that tragic-comic literary spectacle of the mid-'70s, continued to blight the literary landscape with awful novels about well-to-do American college professors who have extramarital affairs. Their bleak irrelevance becomes increasingly apparent, even as the claims made on their behalf by over-enthusiastic literary critics become ever more absurdly hagiographic. What does this have to do with "Spider-Man 2"? As Bugs Bunny once sarcastically said while cross-examining Elmer Fudd about his sexual orientation, "If you'll give me some latitude, your honor, my line of questioning will become quite clear." 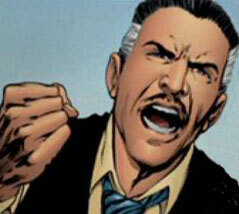 J. Jonah Jameson: Why not a prize named after the Daily Bugle's intrepid publisher? Most contemporary novelists have abandoned the readers. Worse, literary critics, illiterate college students and malevolently ironic Scandinavians have fanned the flames of bad writing by heaping awards and honors on the worst offenders. The universities are choked with teaching assistants who believe that literature from Aeschylus to Shelley was an uninterrupted line of bad writing, saved only by the timely arrival of Henry Miller in the early 20th century (someone, sooner or later, will write a bad book about it, inevitably titled "Prometheus Unsound"). In the current environment, even someone like Harold Bloom, who genuinely enjoys reading, can be hoodwinked by a blowhard like Cormac McCarthy. The result is that, even in a good bookstore, I am obliged to leaf through massive slabs of overwrought Jack Kerouac and weighty wedges of pretentious Ken Kesey in the hopes of finding an elusive (and out of print) volume by Gerald Kersh. The few contemporary writers who have enough compassion for their (dwindling) readers to write good novels, such as Gore Vidal, Martin Amis and Bret Easton Ellis, are ridiculed and derided. If this trend continues, the printed word will not only die, it will deserve to die. Choosing between whether to read the latest favorably reviewed novel in The New York Times Book Review or to watch "Spider-Man 2" is a pathetic exercise. The odds are overwhelmingly in favor of the latter being a wiser investment of one's time. Gerald Kersh: elusive and out of print. As bad as the state of entertainment is right now, it has the capacity to get much worse. If Spider-Man begins having long conversations with characters about the nature of morality, having extramarital affairs, having long conversations about why he feels compelled to have extramarital affairs, and starts coming up with half-baked aphorisms about the meaning of life, then the dictatorship of the novel of ideas will have completed the extension of its dominion over the movie theatres. Spider-Man has often had occasion (usually after failing to save the life of his uncle, his girlfriend's father, his girlfriend herself) to remark, "My God, what have I become?" I, for one, hope that the answer will not be a character in a Rick Moody novel.